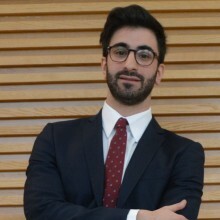 My name is Alessandro Muratore, I am 25 and I graduated from Bocconi University with honors in April 2015 in Management. I am currently employed at Anchorage Group, a financial advisory company based in Lugano. In Lugano, I deal with turnaround, distressed M&A and financial restructuring operations. Currently, I have more than one-year work experience in this industry and I am involved in different projects as financial analyst. In general, my main tasks are elaboration of business plans, debt restructuring models, company evaluation, market research, information and loan memorandum for clients, financial institutions and other stakeholders. In addition to excellent technical skills, my best strengths are the strong motivation and commitment. My personal history is a good demonstration of my potentiality. I have been a member of the Italian National Team of downriver kayak for quite a long period. This took many efforts, sacrifice and time driven by passion and the desire to win. Member of the M&A and turnaround department. Business plan elaboration supporting M&A, turnaround and debt restructuring projects. Member of the Italian Wild water Kayak National Team.